Bar soap is mostly used in homes for carrying out laundry. Bar soap business is a very lucrative one, because there is no household in Nigeria that there won't be usage of bar soap. 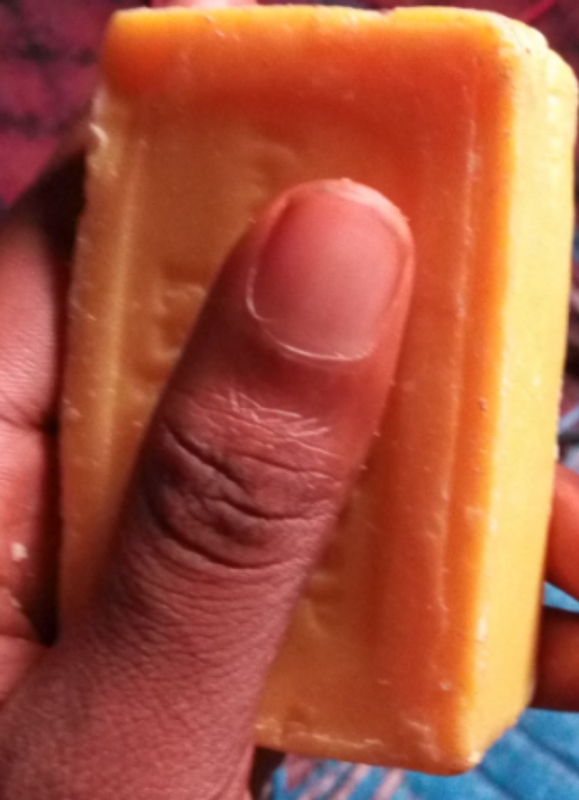 Although, there are a lot of people into bar soap business what differentiates you from others is your ability to make good quality bar soap, that will make your customers to keep on patronizing you. 1. Clean your mixer or big plastic bowl, turn in your 18 litres of palm kernel oil . 2. measure already dissolved caustic soda, which have been fermented for the past three to five days into production pail. Take your thermometer gauge at 12.75 and let the caustic soda solution be at exactly 9 centimeters. 3.At this stage pour the soda solution into a mixer containing 18 litres of palm kernel oil and stir the contents of the mixer very well for efficient result. 4.Add sodium silica9te the specified measurement and stir the solution as contained in the mixer. 5.Add soda ash to the mixture in the bowl or mixer as specified and continue stirring. 6. For effective result of the colorant,use small quantity like one tablespoon, use the color of your choice, that is you can use green, yellow or red depending on you and dissolve before turning into the mixture in the mixer. Continue stirring until soap solution is well mixed. 8.At this stage place your mould appropriately, line the mould with nylon to prevent soap solution dripping out of the corners of the mould and it will also enable the soap to come out with ease. At the completion of mould lining, turn the soap solution into the mould and allow it to solidify within the period if 12 to 24 hours . 9. At the specified time frame, turn the solidified soap unto the cutting table. Place the whole soap cutter rightly and cut the whole soap into five slaps and now each of the slaps and place the bar soap cutters and cut into bars. 10.Arrange your finishing bar soap, 30 bars per each carton and ready for marketing. Where do you stay,am at Ogun state. Thanks 4 adding me 2 d group. Please, what's the quantity for sodium silicate?